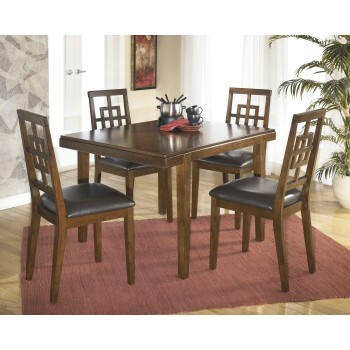 This striking dining room set serves up clean, refined style with a helping of retro-modern flair. Four chairs are comfortably upholstered in faux leather for easy cleanups. Cutout design of chair back splats helps create an open and airy dining room space.